10 Exercises to Build Grip Strength For Fighters, MMA, Wrestlers, BJJ and other Combat Athletes. 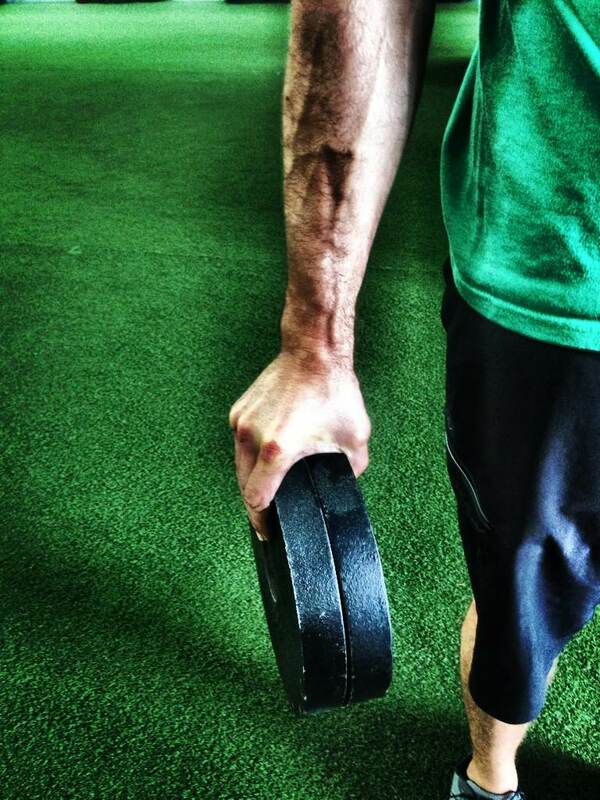 Having a strong grip is essential for any combat athlete. Whether its fighting for wrist control or holding a submission, having a strong grip can mean the difference between winning and losing a fight. 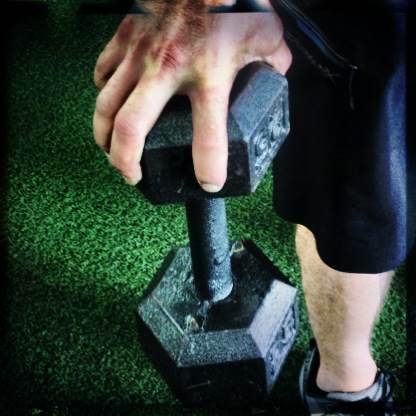 In this article, I am going to show you several different ways that we challenge our athletes’ hand strength and endurance. First off, the majority of the fitness world has neglected grip training because of the huge influence that bodybuilding has had over the last 30-40 years. I have tried to navigate towards people that were strong, learn what they did and then develop ways to include their secrets into our athlete’s training programs. Over the years, it became apparent that farmers, plumbers, iron workers and other manual laborers had ridiculously strong hands. I also found that rock climbers and a few other people had impressive grip strength that were a by product of their activity or sport. Have you ever grappled with an iron worker? These guys pick up heavy stuff, swing hammers, climb, carry and use their hands everyday. Its really no surprise that they typically have the hands and forearms to prove it. Are you looking to develop a STRONG, Powerful grip? Deadlifts are one of my favorite exercises to build strength throughout the posterior chain of muscles. Upper back, lower back, glutes and hamstrings all get worked during this lift, but grip strength, or the lack of it, commonly is the weak link. Lots of people use lifting straps for this reason. Lifting straps take the grips out of the equation and allow most lifters to pull more weight. While that may be beneficial for power lifters, I will recommend NOT using them for my fighters. Holding heavy loads puts a unique stress on the hands and forearms that forces the body to adapt and get stronger. Perfect for any combat athlete. As mentioned before, rock climbers are notorious for having strong grips and hand strength. Their sport requires it and challenges their grip in a variety of ways. 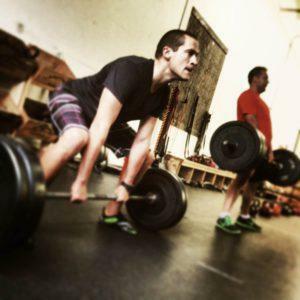 While deadlifts challenge a lifter with large, heavy loads, climbing involves odd holds, finger tip strength and endurance to hold on over time. 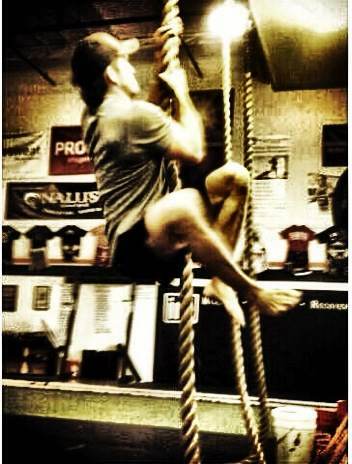 We also utilize a lot of rope climbing for our athletes. Climbing a rope uses similar muscles to rock climbing, but in a different way. We have 1.5″ and 2″ ropes at our gym and the thicker rope is great for developing the strength to hold a wrist, forearm, ankle, etc. 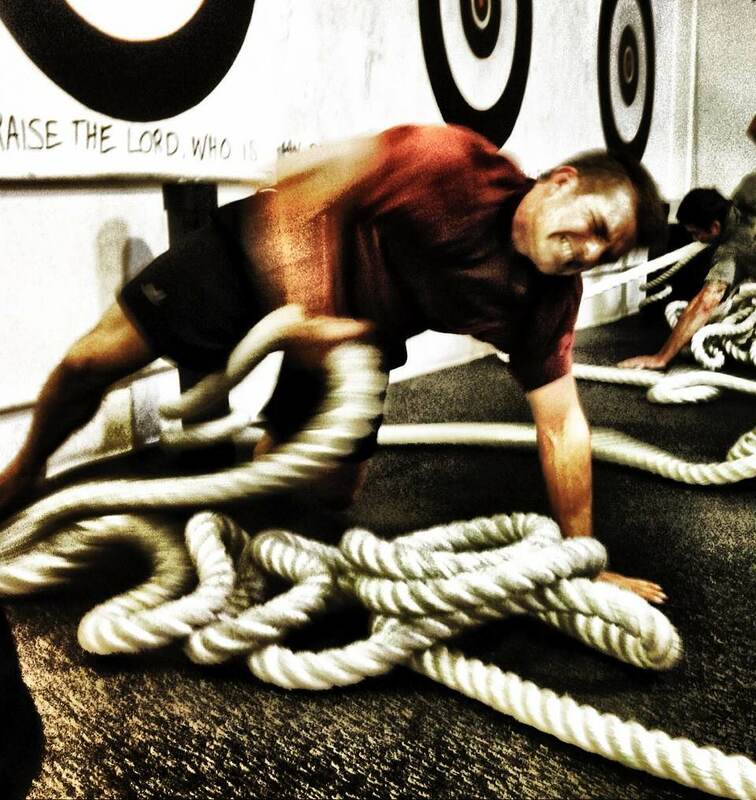 If you have access to a rope, use it frequently. It is an old school, simple exercise that yields huge benefits. Every pulling exercise starts with your grip, so basically every row, pull up or similar uses the hands to connect with the resistance. In order to maximize grip strength, we vary the handles that we use to chalenge the hands, fingers and forearms. Some of our favorites are Fat Gripz, Rolling Thunder, Gi Grips, Eagle Claws and steel pipes. By simply changing the handle, a simple pull up can become incredibly difficult. Mix it up, try new things and the good news is that these handles are relatively inexpensive. Perfect for any home gyms or fight gyms with little to no space. 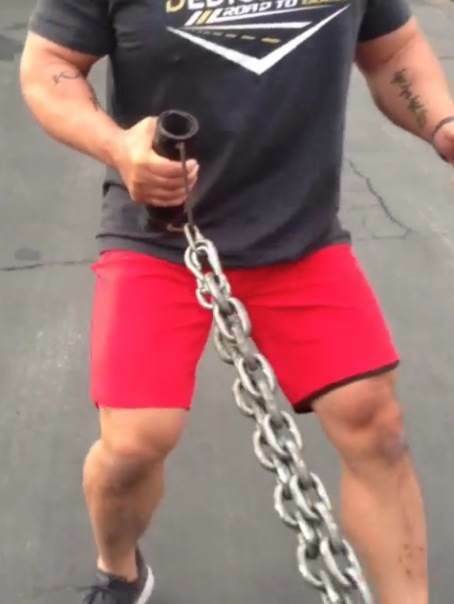 Farmer carries are most commonly seen in strongman competitions. Guys pick up huge weights in each hand and walk for distance. I love the simplicity of this exercise and use it with almost all of our athletes. Not only does it build hand strength, but it also challenges the postural muscles, hips, core and legs. There are a few varieties of carries that we use, including, 2 hand farmer carries, suit case (1 hand), bottoms up w/ kettlebells, heavy bags and more. The idea is very simple. Pick up as much weight as possible, maintain posture and walk for distance or time. Some days we go heavy for short distances, while other days are lighter for longer periods of time. In my opinion, fighters and grapplers need both strength and endurance to perform at their best. Crushing grip is most commonly used with old school grippers. I’m sure al of you have seen or owned one of these grippers at one point in your life. While the local sports store usually carried simple, low resistance grippers, several companies have developed some heavy duty grippers that guarantee to challenge anyone’s crushing strength. Our favorite is called Captains of Crush, from Ironmind. 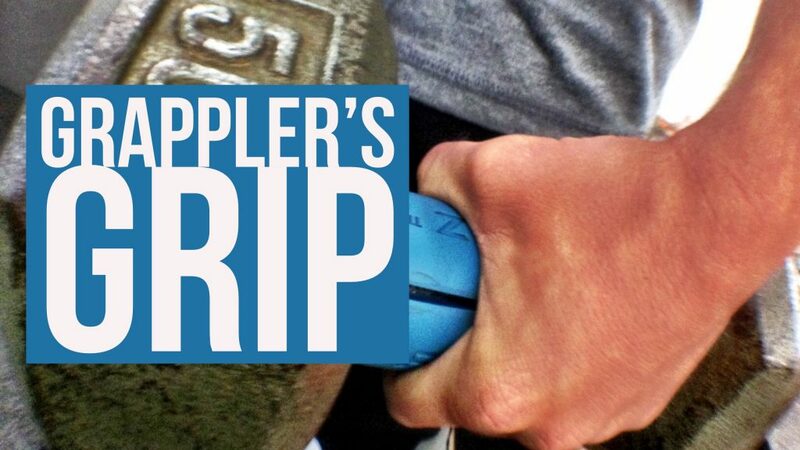 They have a variety of different grippers that range from 40lbs to 365lbs, meaning it takes 365lbs of force to close their toughest gripper. These are great between sets at the gym, off days, at the end of sessions, in the car, on the couch or while you surf the net. 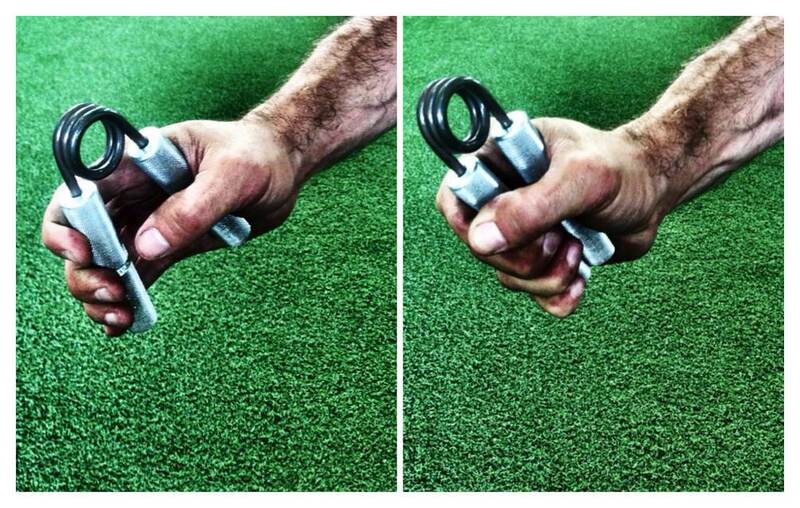 Pinch grip involves a lot of thumb strength and is a good variation to mix into your training. We typically use two weight plates (smooth side out) and hold for time. Start with two 5lb plates or 10lb plates, pinch them together and do not allow them to slide apart. Once you get accustomed to the exercise you can add weight and see what you can hold. Remember the claw in professional wrestling? Ever palmed a basketball? If so, that’s basically our next exercise. We started testing our claw strength by turning a dumbell on end, claw gripping the hex and lifting. Pretty simple and very different than other grips. The larger the dumbell, the heavier it gets and the larger the hex end. Both the weight and the size of the hex add to the difficulty. Guys that spend their days turning a wrench and using their hands typically have ridiculous hand strength. For years I was trying to figure out a way to mimic that movement in the gym, but couldn’t quite find anything that worked. Last year, a client recommended that I turn a dumbell on end on put it in the bucket of rice that we use for rehab and recovery work. Once in the rice, you claw grip it and twist back and forth, like your trying to tighten a cap or lid. It works great and is now one of our favorites exercises. We filled a bucket with rice and use a variety of different size dumbells. Just like the claw grip, the larger dumbell is harder it becomes. These are very similar to the carries, but we use chains, tires or sleds to create the resistance. All you need to do is attach a handle (use a variety) to a chain, sled or tire and drag it for distance. Heavier resistance typically means less time or distance. Lighter load can be used for longer periods of time. This can be done walking forward, sideways, backwards or in a variety of positions to mimic positions that you may experience on the mat or in the cage. We will perform some days with both hands working together or one hand at a time. Using one hand at a time forces the core to work overtime to keep the body straight, which is an added bonus. Mix it up and try a bunch of different combinations of resistance, handles, duration, etc. Our hands spend most of their time grabbing, flexing, holding, etc. These all challenge the flexor muscles in our hands, so in order to keep our hands healthy, its important to work the opposite groups of muscles called extensors. You can start by using thick rubber bands. Point your finger and thumb into a cone shape, wrap the rubber band around the tips of your fingers and then spread your fingers as wide as possible. Do 20-30 reps and you will probably feel the fingers, top of your hand and top of your forearm burning like crazy. This a great exercise to counter all of the grabbing, holding, typing and texting that we do on a daily basis. It may also help with a lot of common elbow pain. Want to step it up a notch? 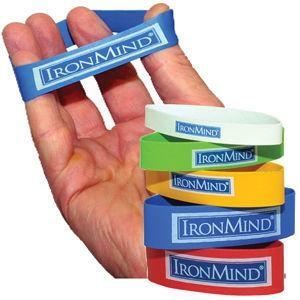 Ironmind sells a series of heavy duty bands that are a bit more intense than common rubber bands around the house. 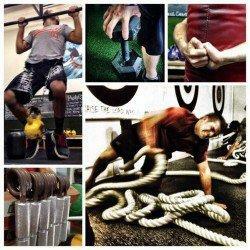 Grip strength is an important aspect of strength and conditioning that is commonly overlooked. Done correctly, training the grip can help you overcome the opposition, dominate the competition and make people hesitant about ever rolling with you again. PS…be sure to share this article with friends, training partners and coaches. Great tips! When I was in my early teens, I had to buy the groceries in the local “mercadito” or little market. I would come back home walking -ca. seven streets- with bags loaded with potatoes, onions, oranges… you name it. My forearms were thick and venous. A real farmer walk! After that I dropped out those stupid isolation excercises for forearms. Real life excercises are better. And of course, those that involve big muscle groups, such as those mentioned here, are the best to start!